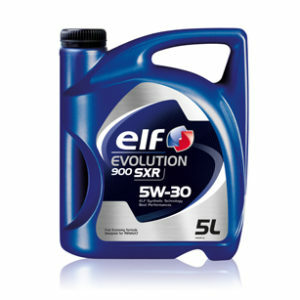 Formally Elf Solaris MSX 5W30, Elf Evolution Full-Tech MSX 5W-30 engine oil is a very high performance lubricant using ELF synthetic technology, intended for lubricating all Petrol and Diesel car engines. Specially formulated to ensure compatibility with post-treatment systems. * Recommended for all recent engines, multivalve, and turbocharged, direct injection, with or without catalytic converter. * Particularly adapted to recent Mercedes-Benz, BMW vehicles equipped with a post-treatment system. Adapted to VW motors with direct injection. * Suitable for all journeys (in town, on highways, or motorways) and particularly in severe conditions. * Meets the most demanding OEMs requirements enabling much extended oil change intervals (20000 to 40000 km), thanks to an outstanding oxidation resistance. 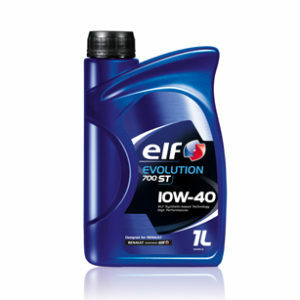 * Gives the engine an excellent wear protection, thanks to its very solid additive package. 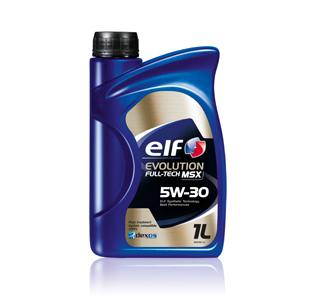 * Ensures maximum engine cleanliness, thanks to very good detergent and dispersion properties.